Living building facades do more than look good, they make the air good and they make urbanites feelgood. At least, that’s the finding of a new report from global engineering firm Arup. The company reported a series of studies exploring the impact of plant-covered building elements on air quality, acoustics, temperatures, energy use, and general quality of life. Poor air quality is a growing concern for city-dwellers, where air pollution accounts for millions of premature deaths every year. Arup created a sophisticated computer model to calculate the flow of air through different types of cityscapes, examining how pollution might be impacted by green facades. “Green façades can result in local reductions in concentrations of particulate matter, typically between 10 and 20%,” wrote Martin Pauli, a senior architect at Arup. The study found that different plant species also created different affects, with pine and birch plants outperforming other species in combating air pollution during winter months. Plant-covered buildings also makes streetscapes noticeably quieter, according to the report, as living materials are more sound-absorptive than the hard stone, metal, and glass of many urban structures. 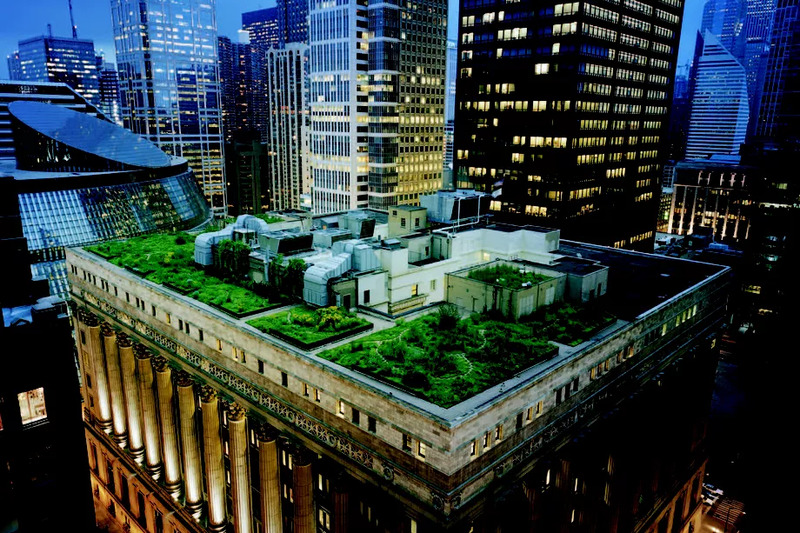 Increasing the amount of green roofs and living walls has the potential to cut acoustic noise by 10 decibels—making the street sound roughly half as noisy. Green plantings on buildings have also been known to regulate internal temperatures, cutting the cost of heating and cooling. But green facades also have a dramatic impact on reducing the temperatures of former heat islands by up to 50 degrees (10°C).